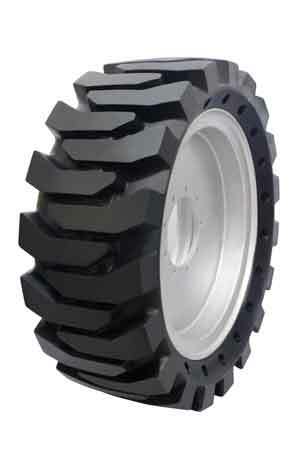 Trident brings puncture proof tyres for severe duty applications. Tyres are the only connect between the vehicle and the terrain. Hence, ensuring that tyres are reliable, safe, and performance worthy anytime and every time is critical, especially for severe duty applications such as construction, mining, industrial plant operations, recycling, scrap handling, etc. Besides, as tyres represent the highest operating cost after fuel, understanding tyre related global best practices and emerging concepts is essential. Here are some contemporary puncture-proof tyres and technologies that reduce total cost of ownership (TCO) and cost per hour (CPH). Developed specifically to address the problems of frequent punctures and fast wear encountered by industrial vehicles/construction equipment used in demanding service environments and difficult underfoot conditions, these semi-solid tyres are airless, thus puncture proof. They have an extra deep tread for long, uninterrupted service, with specially designed sidewall apertures to provide shock absorption and ride comfort. These tyres are available in a range of patterns to suit various operating conditions and supplied as ready-to-fit tyre and wheel assemblies for easy replacement. - High Safety – no danger from blowouts. 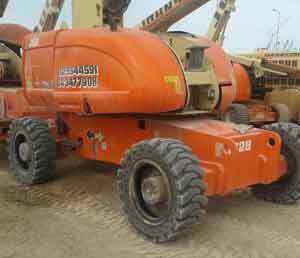 - Long Life – 4-5 times that of pneumatic tyres. 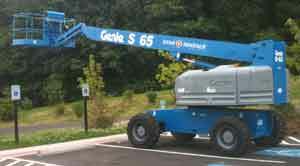 - Aerial Work Platforms, such as Manlifts, Boom lifts and Scissor Lifts. Tyre filling is a process in which a pneumatic tyre is injected and pressurized with a special two component urethane polymer in a precise proportion using a special metering pump. The polyurethane cures into a soft, resilient, synthetic rubber core replacing the air in the tyre. The resultant filled tyre is, thus, rendered puncture proof and maintains the required pressure throughout its service life. PU-filled tyres have a full footprint and are capable of carrying their rated load at all times. 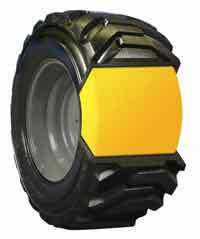 The soft core is designed to provide a ride similar to air filled pneumatic tyres. - Puncture proof and Maintenance free. - Enhanced man and machine safety. 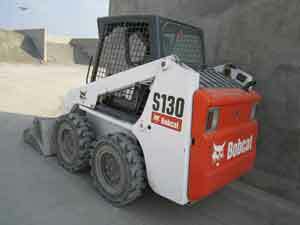 - Better ballast in overload conditions. - Open Cast Mining and Quarrying. Zero Tyre Maintenance: No punctures and elimination of periodic tyre pressure checks. 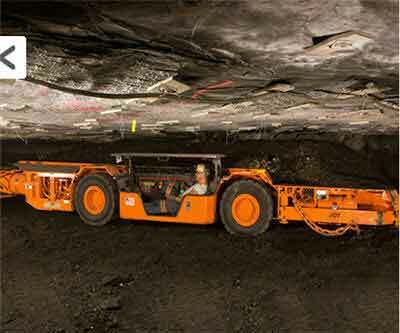 Lower Operating Costs: Direct Puncture Costs and puncture-related costs, such as machine downtime, operator idle time and operational delays are automatically eliminated. While Semi-Solid Tyres cost about three times the price of pneumatic tyres, it is important to note that they are puncture-proof and their life is four to five times that of pneumatic tyres, thus offering a lower CPH. User and Equipment Safety: Semi-solid Tyres/ PU-filled Tyres significantly improve occupational safety as there is no possibility of tyre blowout related accidents. Damage resistance and all-terrain utility: Abrasions and cuts do not affect structural properties and stability of the tyre, thus offering a high degree of failure resistance in severe service conditions. 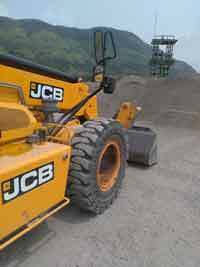 Ease of Installation: Semi-solid Tyres are supplied as ready-to-fit Tyre and Wheel Assembles. No special mounting equipment is required and the entire assembly can be hand mounted in a few minutes.